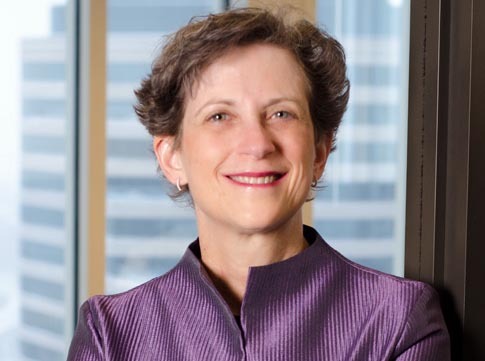 Terri Krivosha, partner in Maslon's Business & Securities Group, will serve on a panel for Strafford Publications' CLE webinar on May 23, 2019. The webinar, titled "Selling a Closely-Held Business," will examine legal considerations for counsel involved in the sale of closely held businesses. Panelists will discuss strategies for evaluating whether to structure a deal as a stock sale, asset sale, or merger, and address specific critical deal terms, provide negotiation tips, discuss whether and how to hire an investment banker, and other important issues. Terri is passionate about helping businesses grow, succeed, and scale. As a strategic business attorney, she works with a vibrant network of entrepreneurial and dynamic businesses, where she is a valued partner. She uses her broad strategic skills together with extensive experience to help her clients achieve success in all phases of their development and growth. She provides general counsel advice to her clients relating to all stages in the life cycle of a business, including contract drafting and negotiation, mergers and acquisitions, financing, strategic partnerships, distribution agreements, joint ventures, governance issues, exit strategies, and sales and recapitalizations. Terri also provides creative entity formation advice to clients who are seeking to restructure and align their legal structures with their business goals. She works with clients in many industries, including manufacturing, technology, healthcare, consumer products, service industries, and social enterprise. Terri has recently qualified as a Rule 114 neutral mediator and uses her many years of experience negotiating to assist parties to settle disputes. For more information or to register, go to: Strafford Publications, "Selling a Closely-Held Business."